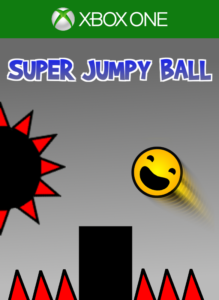 I’ve gotten a lot of requests to release a free version of Super Jumpy Ball on Windows Desktop & Phone, similar to what we’ve done on Android. The game is free and you can play all levels without any limitation but there is a catch there are ads in it. Why you might ask, well the simple answer is that I need to earn some money from my games to be able to keep on creating new games. The ads do not interfere with the gameplay and disappear once a level starts. You can also chose to skip a level by watching a video after you’ve failed the level 3 times in a row. If you do not want ads then you can either remove them with an IAP or try the Premium version. However this version is not out on Xbox One, why? Well ads are really horrible on a console so I decided not to go there. If you want to play the game on Xbox One use the Premium version.